Rafiq Islam, who holds joint appointments with Ohio State University Extension and the Ohio Agricultural Research and Development Center, will discuss soil health, no-till and cover crops during a June 8 workshop on these issues at the Ohio State University South Centers in Piketon. OSU Extension and OARDC are the outreach and research arms, respectively, of the college. The Centers are also a part of the college. 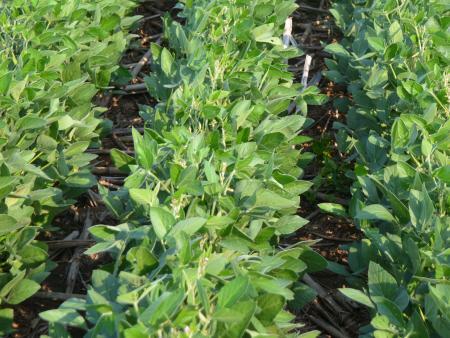 Planting mixed cover crops such as oilseed radish, cereal rye, cowpea or Austrian winter pea has been proven to supply the required amount of nitrogen to crops, lower inputs, increase crop yields and improve soil health, Islam said. “Growers with increased costs associated with crop production, including long-term use of higher amount of herbicides and chemical fertilizers, may degrade soil health,” Islam said. “Improving soil health is necessary to get higher crop yields, to minimize the usage of fertilizer and herbicides, and to better manage the soil without plowing the ground. The hands-on workshop is suited for both beginning and veteran farmers and will offer strategies and tips for growers on everything they’ll need to know about cover crops and the benefits to soil, water and air quality, he said. Nationally recognized speakers and experts on soil health, carbon sequestration, conservation tillage and cover crops, including Don Reicosky, a U.S. Department of Agriculture-Agricultural Research Service soil scientist emeritus, and David Brandt, president of the Ohio No-Till Council, will speak at the workshop. Participants are asked to bring samples of what they consider to be good soil and bad soil from their fields to the workshop for testing. The 15-minute soil health test will also determine soil matter accumulation levels and how much nitrogen is needed for field fertilizer. No-till’s impact on soil health and water quality. 4R Tomorrow, an Ohio conservation program aimed at wise nutrient management. The workshop will be held from 9 a.m. to 4 p.m. at the OSU South Centers, 1864 Shyville Road, in Piketon. Registration is $10 and includes lunch. The deadline to register is June 1. Attendees will receive a soil health field test kit, with the first 50 registered participants receiving two soil test vouchers from the Scioto and Lawrence county soil and water conservation districts. The workshop is funded by the North Central Region Sustainable Agriculture Research and Education program. Sponsors include OSU Extension, the OSU South Centers, the Scioto Soil and Water Conservation District, and the Lawrence County Soil and Water Conservation District. For more information or to register, contact Debby Basham at 740-259-9231 or Debby.Basham@oh.nacdnet.net.